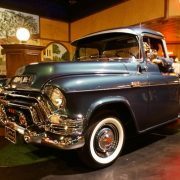 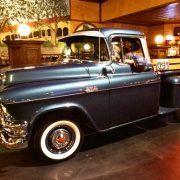 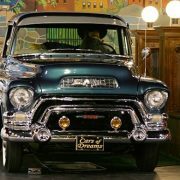 The 1955 GMC Suburban Pickup was GMC’s luxury-truck partner to Chevrolet’s Cameo pickup, but was rarer and was available with a hotter V-8. 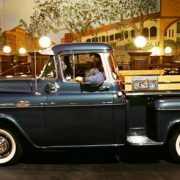 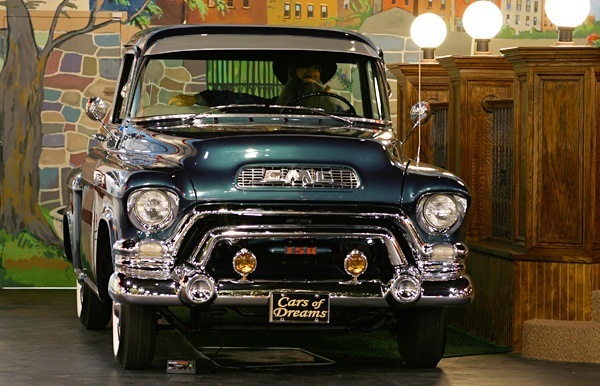 Like the Cameo Carrier, the 1955 GMC Suburban Pickup emphasized car-like comfort and convenience along with an upscale exterior appearance — all of which was a fresh take on the pickup-truck formula. 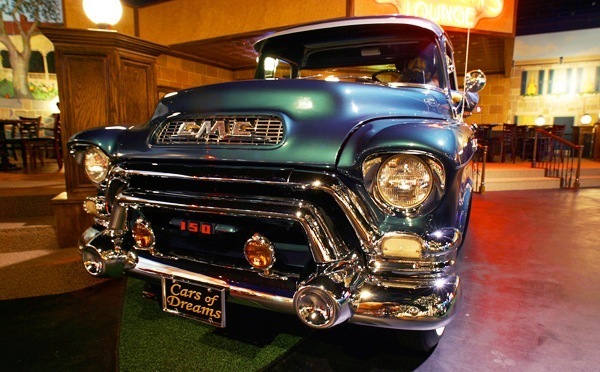 But the 1955 GMC Suburban Pickup went a bit further, with available high-performance Pontiac V-8 power and a production total low enough to guarantee collector status. 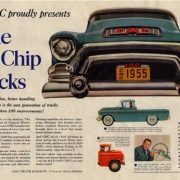 Visually, 1955 GMC Suburban Pickup differed from the Cameo mostly in front, where it wore a heavier, droop-mouth grille with two hollow-tip bumper bullets, and a hood inset with a large GMC insignia. 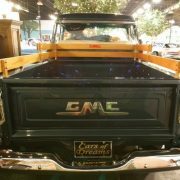 Both the Cameo and the 1955 GMC Suburban Pickup featured a full flush-side cargo box, a major innovation from a young GM designer named Chuck Jordan that was popular and trend-setting. 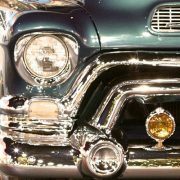 Exterior styling also enjoyed such classic 1950s cues as flow-through front fenderlines, a wraparound windshield, and hooded headlamps. 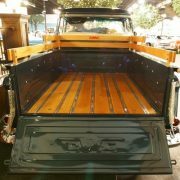 Like the Cameo Carrier, the Suburban Pickup had special fiberglass rear fenders mounted to the sides of a stock cargo bed. 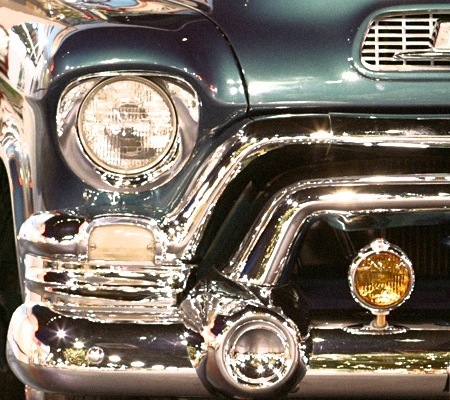 Lamps and trim were common. 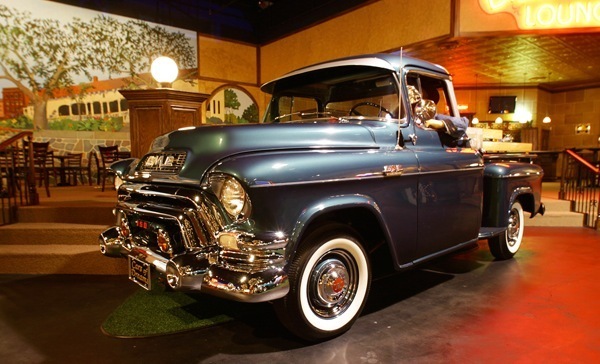 Of course, the 1955 GMC Suburban Pickup was a fully functional truck. 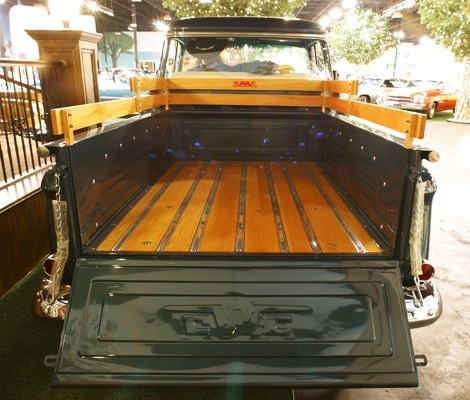 It rode a 114-inch wheelbase and had a 6.5-foot-long cargo bed. 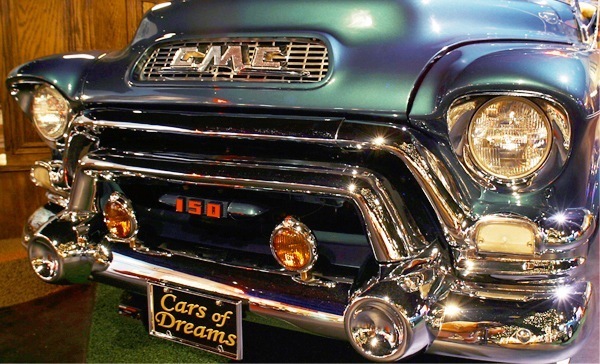 The sturdy full-parallel frame boasted six cross members instead of the previous GMC pickup’s four. 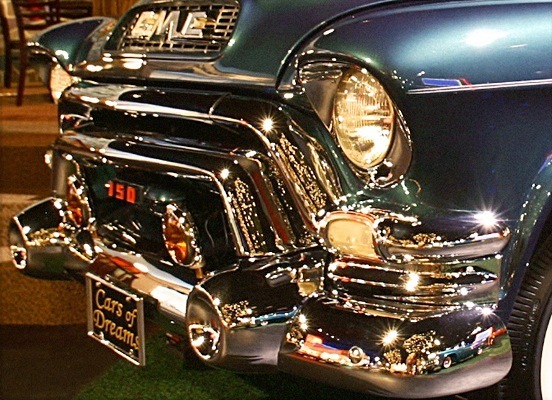 It also had expanded track dimensions and longer leaf springs, front and rear. 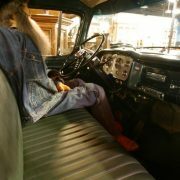 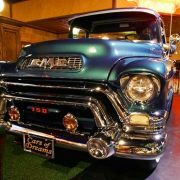 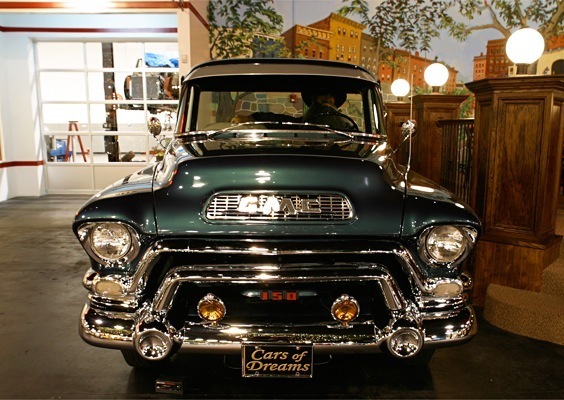 The 1955 GMC Suburban Pickup ran with the standard 248.5-cid, 125-horsepower six that had been used since 1953. 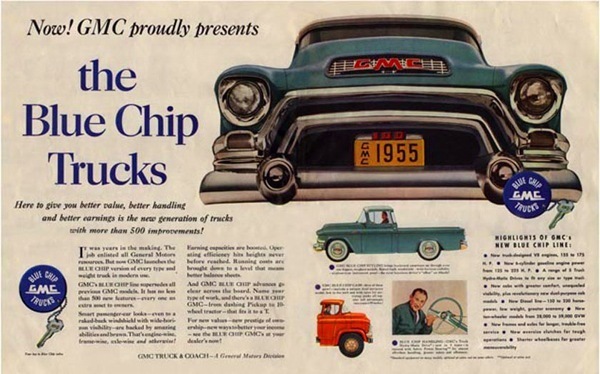 Big selling points for both Chevy and GMC’s 1955 truck lines were their first-ever optional V-8s. 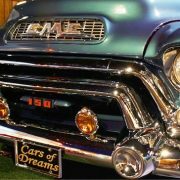 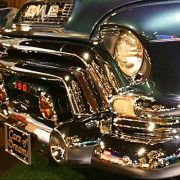 GMC’s was the new 287.2-cid powerhouse from Pontiac, good for 155 bhp; the Cameo’s 265-cid Chevrolet V-8 was rated at 145 bhp. 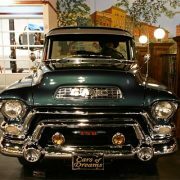 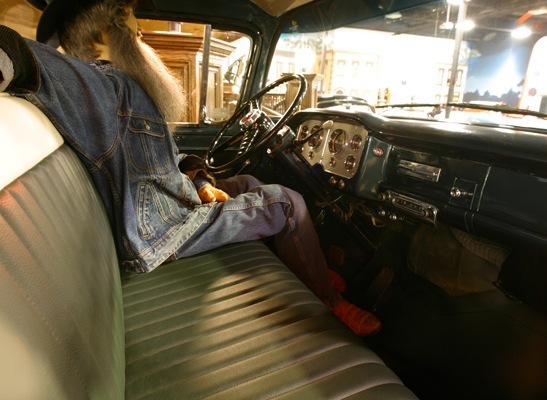 Like the Cameo, the Suburban could be ordered with any of four transmissions: heavy-duty three-speed, three-speed with overdrive, four-speed manual, or four-speed Dual-Range Hydra-matic. 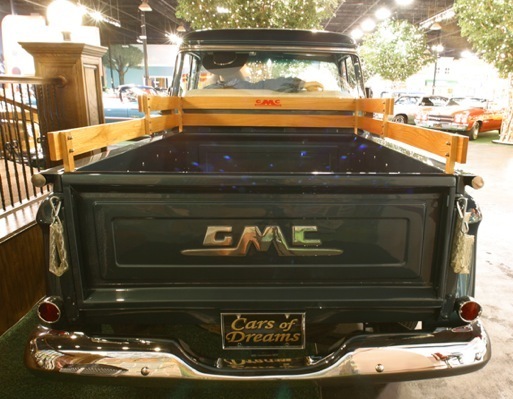 Production figures are where the Suburban and Cameo really part company: GMC intended its pickup as a promotional piece that would lure customers into showrooms — hence, a single-season production run of only 300 units (one source claims 326). 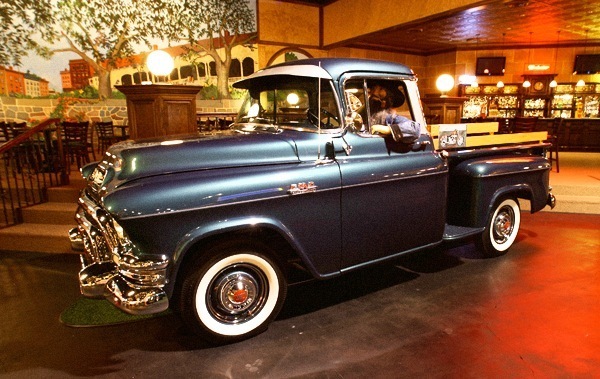 Cameo was a regular Chevy model, and output for 1955 was 5,219.